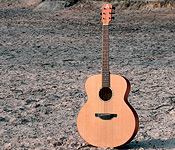 The guitar is a Spanish development of the Arabic bowl back oud which was known in Spain from the 8th century. 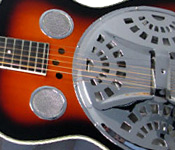 12th century guitars had four strings and the flat back body is said to come from the Roman lyre, the cithara, which was also used in Spain. 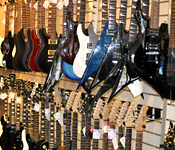 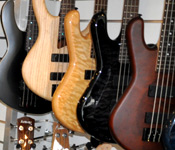 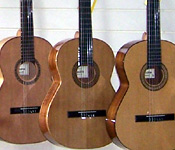 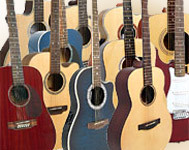 The guitar went on to have six strings as the norm, but there are many four string variants still around.